Timothy Park, Ed.D., has been named the first director of Pastoral Services at Emory Johns Creek Hospital. Timothy Park, Ed.D., has been named the first director of Pastoral Services at Emory Johns Creek Hospital. An ordained Presbyterian minister, Park has a wealth of experience pastoring in Parish ministries, as well as in clinical pastoral education. 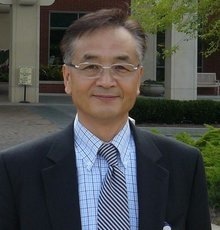 As a fellow at the Emory Center for Pastoral Services, Park served as a chaplain at both Emory University Hospital and Emory University Hospital Midtown for seven years. Before that, he spent almost 20 years pastoring in the Presbyterian Church. "Tim is a gifted and committed pastor and an inspirational supervisor," says Elwood "Woody" Spackman, Jr., M.Div., executive director, Emory Center for Pastoral Services. "I have known Tim for many years and have participated in his preparation as a hospital chaplain. We are fortunate to have him to serve in the community of John’s Creek." A 110-bed community-based health care facility, Emory Johns Creek Hospital has always relied on volunteer chaplains to care for patients and their families. Community spiritual leaders have been valuable to the hospital in caring for the patients, while building strong collaborative relationships between the hospital and the community. Several volunteer pastors will continue to minister to the patients and families at Emory Johns Creek Hospital, along with Park and chaplains in training from Emory’s pastoral services program. "As a resident of the Johns Creek community, I am thrilled to now work in this community and for a hospital that has a major impact on its surroundings," says Park. "We will continue to build upon the excellent relationship that has been formed with local spiritual leaders and other members of our community." Park received his bachelor of arts in religious studies from Vanguard University, a Master of Divinity at Westminster Theological Seminary and Doctor of Education at Biola University, all in California.